Greenbelt Community Solar, LLC is a limited liability corporation formed by a group of local residents, and recently, in December 2011, the company installed a solar power generation plant on the roof of Greenbelt Baptist Church, the first at a non-residential site in Greenbelt. 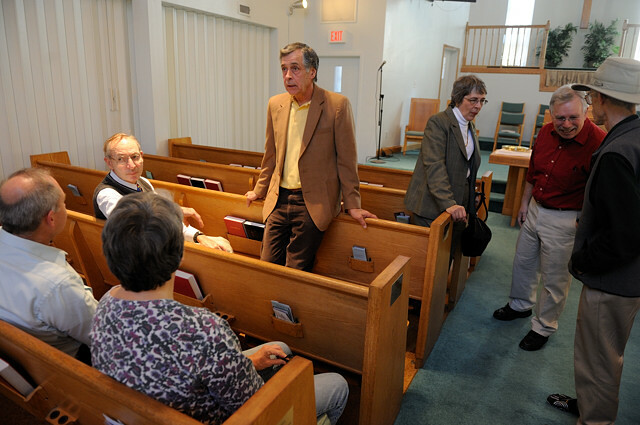 The 90-panel, 21.6-kilowatt system started generating electricity on December 30, 2011, and on January 28, 2012, the group holds a public commissioning celebration at Greenbelt Baptist Church. 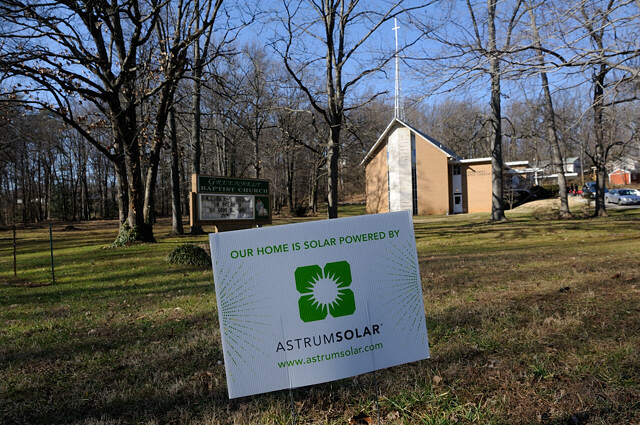 Astrum Solar is an Annapolis Junction, Maryland-based company which designed and installed the solar panels on the roof of Greenbelt Baptist Church. Greenbelt Community Solar signed the contract with Astrum Solar in September 2011, and the installation took less than two weeks in late December. Astrum Solar will also provide support for the next ten years. 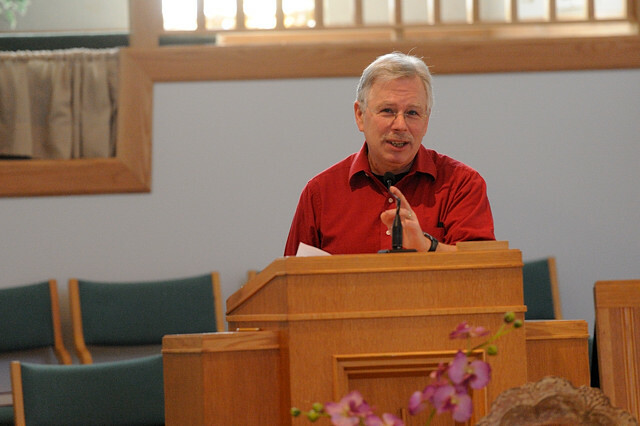 Steve Skolnik, Greenbelt Community Solar chairman, gives remarks in the sanctuary of Greenbelt Baptist Church. 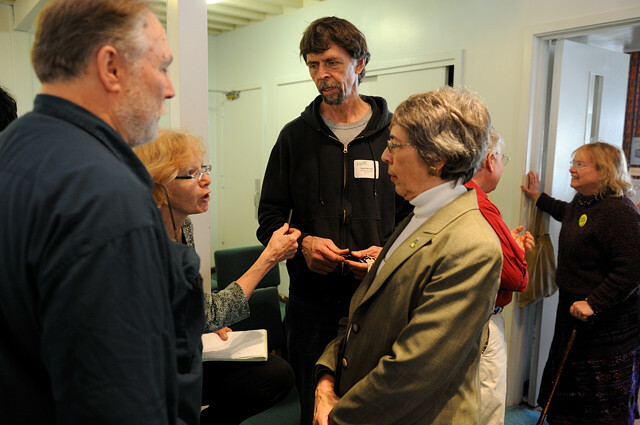 He tells the story of GCS: it is “a group of 34 local folk who have banded together to invest money, to install, own, and operate this solar generating system”; it began in September 2010, “coaxed into existence by Lore Rosenthal and the Greenbelt Climate Action Network,” and it is based on the community LLC model developed and refined by University Park Community Solar in nearby University Park, Maryland; the group is able to utilize government incentives and tax benefits, and the result is a solar array which powers the lights and electronic displays in the church today. GCS’s management committee members, investors, elected officials, friends, and neighbors attend today’s celebration in Greenbelt Baptist Church’s sanctuary. Photos of the solar panels are displayed on the two monitors above the lectern. Greenbelt Mayor Judith “J” Davis tells that she went to University Park two years ago to see its solar project and was impressed by the community effort behind the work. She came back extolling its virtues and is glad to see Greenbelt residents following that model. She also compliments GCS for using a U.S.-based firm and hopes that the current wind project being discussed in Maryland State Legislature will bring another form of renewable energy to Greenbelt. Lisa Lincoln, legislative aide to Maryland State Senator Paul Pinsky, begins by exclaiming, “I love the energy in this room, and I love the energy on that roof.” She talks about a Community Net Metering Bill sponsored by Pinsky this year “that will allow any subscriber who cannot put solar or wind on their own roof to buy into clean renewable energy from a different location and be able to utilize that to offset their own energy usage.” In 2011, a net metering bill for individual home or business, also sponsored by Pinsky, passed the legislature. 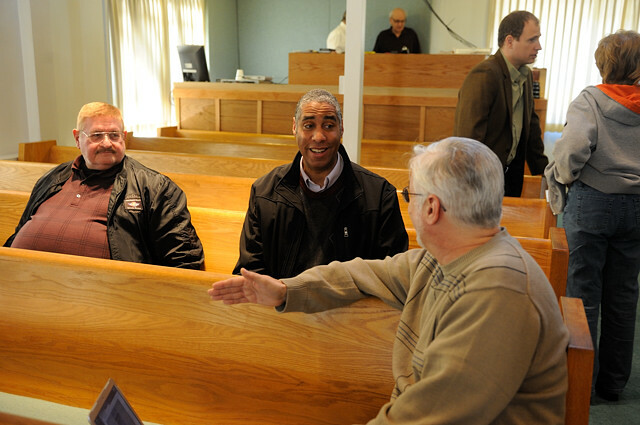 Steve Skolnik (second from right), Mayor Davis (third right), Frank Gervasi (fourth right, standing), manager for GCS, LLC and project manager for the solar array at Greenbelt Baptist, chat with others after the speeches. Mayor Pro Tem Emmett Jordan (second from left) is also in attendance and talks to members of GCS. Standing next to Mayor Davis, wearing a black sweat shirt is David Brosch, president of University Park Community Solar, LLC. 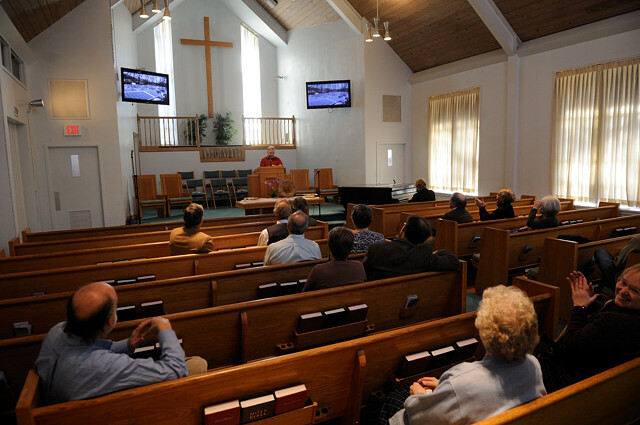 His group of 35 investors installed a 99-panel, 22-kilowatt solar system (about the same size as the Greenbelt project) on the roof of University Park Church of the Brethren in the spring of 2010 and is the model for the Greenbelt group. The University Park project cost about $130,000, and Brosch expects to recoup that money in six or seven years. 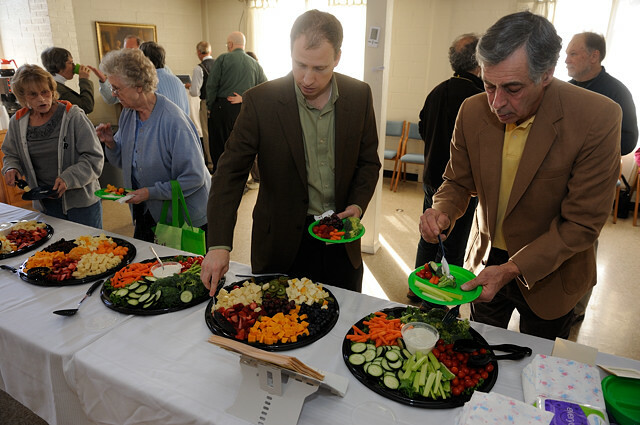 Frank Gervasi (right) and others enjoy refreshments in the church’s social hall. A photo of the 90-panel, 21.6-kw solar photovoltaic array on the roof of Greenbelt Baptist Church courtesy of Greenbelt Community Solar (at the event, there is not an opportunity to climb up to the roof to see the array). There are nine panels in each row and ten rows. Skolnik tells me that the group spent just over $100,000 for this project and expects to be in the black in around six years. He says that each of the 34 current subscribers put in on average $4,000 to $6,000, and the group is actively looking for the next host site. I ask him whether the GHI management office building can be considered, and he (who is on GHI’s Buildings Committee) tells me that GHI is considering a different path to solar energy than the community LLC model partly because its building uses considerably more energy than a church. 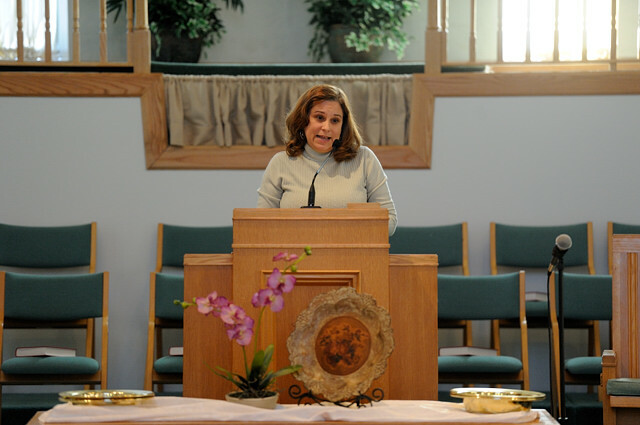 As a host, Greenbelt Baptist Church does not pay anything for the solar panels to be installed and does not own the system. It signed a power purchase agreement with GCS, LLC to buy electricity from the solar array for the next 20 years at a rate that is consistently below what is charged by the power company. 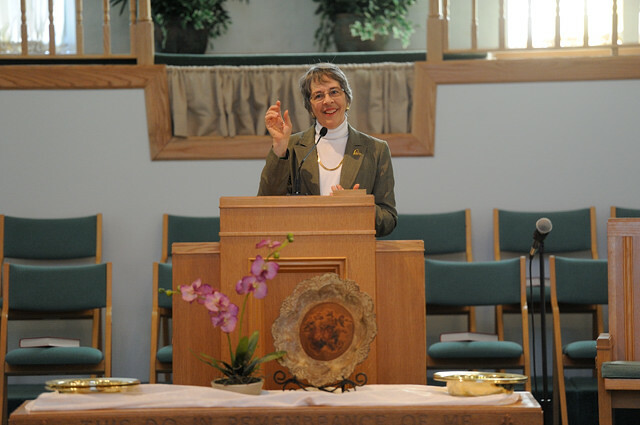 The solar system is expected to meet about 38 percent of the church’s electricity needs, and on sunny, low-usage days, the excess electricity generated by the array will flow back to the energy grid, earning money and Solar Renewable Energy Credits for GCS.